Mad Men is officially done, and the VIPs on Twitter had complex feelings about it. Can you blame them? I mean, it was kind of a rowdy little ride — emotionally speaking — of a closing. Don went to a commune, Joan did coke, and for some 60-odd minutes, the ‘70s, as well as other people’s vices, similarly took hold. Be happy it’s 2015, and keep your fingers crossed for some sort of spinoff. RIP, Mad Men. You’ll live on in these tweets, at least. Are we meant to think Don made that Coke ad? If so, does everyone in it represent a Mad Men character? Popping back in to say: don't try too hard to "solve" MAD MEN, please. It's antithetical to the show's spirit. Mad Men was amazing. Thanks to everyone who was a part of it. It is one of my favorite shows of all time. So sad to see it end. The parts that were easy and satisfying didn't feel like MAD MEN. The parts that were difficult and maddening, did. MAD MEN is one of my favorite shows of all time. I loved it this morning, I love it now. But I thought that finale was unambiguously awful. But the end of the show-- and the start of the Me Decade-- Don (and others) were OK defining who they were for themselves. That Mad Men was bravely old fashioned, bringing earned, heartbreaking/warming conclusions to characters we love. Like an old time TV show. Mad Men! Pure genius. Hippie culture commodified in the service of profit, capitalism uniting us all w/ a catchy jingle. To sell crap.Bravo! Chill that Mad Men, like Breaking Bad, was ultimately a tribute to how great it is to work on something great. That was a pretty great hour of television. Why I liked the Mad Men finale: To me it was always a clever (but not great) show about the ascent of clever (but not great) content. It's a show about how content came to be ad-funded in the 20th century and what that meant for American culture. Like, Mad Men is probably the best ad-supported show in the history of TV, which says something about how bad advertising is at funding art. Loved the Mad Men finale, btw. Favorite since Sopranos and cut from the same cloth. I know I am hours late. Let me live my own life. But I am extremely uncomfortable with Don Draper in a denim jacket. Just think - without Mad Men we never would have gotten MILLION DOLLAR ARM. Tony Soprano is dead and that was Peggy Olson's ad. 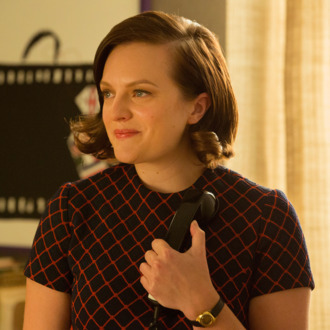 Saddest line of #MadMenFinale: "I want to keep things as normal as possible. And you not being here is part of that." That crushed me. I've never seen an episode of Mad Men, but I've seen paparazzi pics of Jon Hamm not wearing unders all the time. Sad the show is ending. 92 episodes and #MadMen never explained if Don shaves the back of his own neck. He always has such a crisp line. Does he use a hand mirror? Mad Max followed by Mad Men live read followed by finale. Exhausted by emotions. Dirty hippies ruined Mad Men. None of this explains Coke Lime. Mad Men finale: I jump out a window. So Mad Men was basically just an eight year Salinger novel? upper middle class NYC misery solved by Mahayana Buddhism? Prediction: the most popular recap title will be "Downward Facing Don"